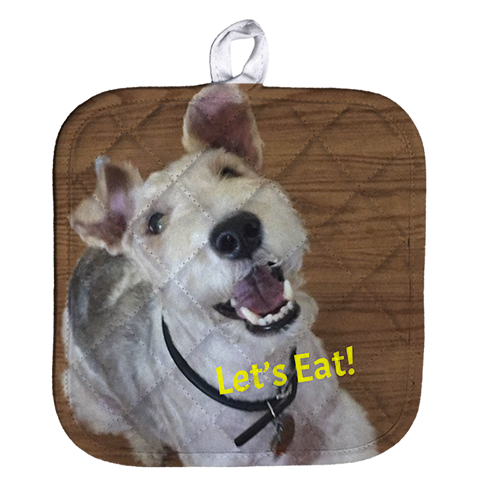 Heat up your kitchen with these fun poly/cotton pot holders that can be custom printed with any image! Our kitchen hot pads measure approximately 8” x 8.5” and come with an attached loop, ready to display proudly. Pot holders can be personalized on the 100% polyester linen top in full, brilliant color. Heat resistant cotton backing is perfect for protecting your surfaces from the bottoms of hot cookware, and even wiping up a quick spill if needed!